Why is the world's largest Temple not in India? Human Population of the Earth in 1200 was 40 Crores and out of that 10 lakh people lived in the great city of Mahendraparvata. That is 1:400 person on earth. And it was ruled by Benevolent Hindu kings of Varman Dynasty. For 600 hundred years from 900-1500 Angorvat was the leading light of the world. 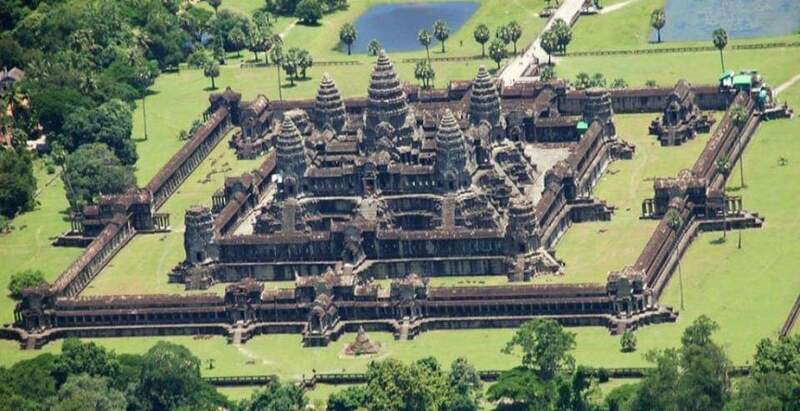 Today the great temple of Angkor vat is big tourist attraction of Cambodia. 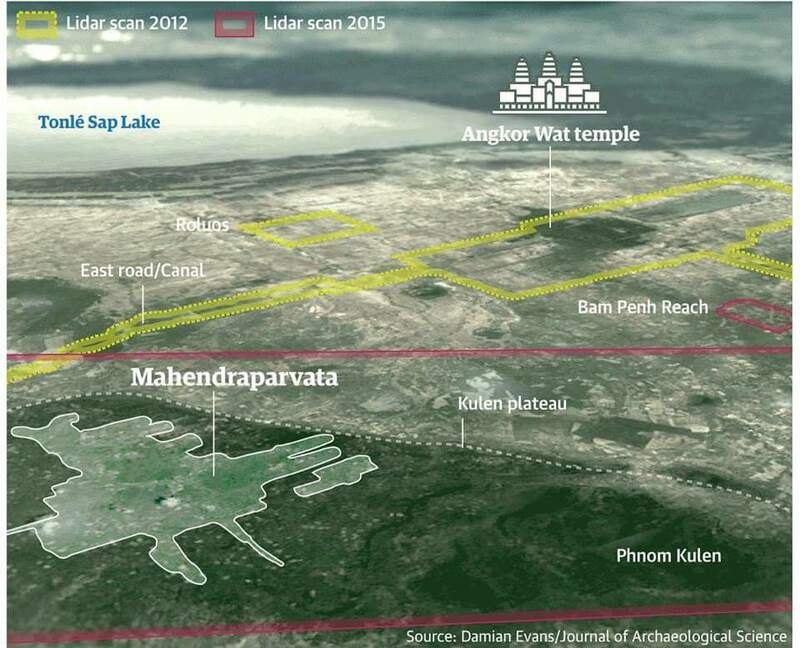 But no one knew of the Megacity of the Mahendra Parvata, buried under the huge forest of Cambodia. In 2015, Archeologists were astonished to find the megacity under the jungles of Cambodia which was forgotten by History. Australian archaeologist Dr. Damian Evans, whose findings were published in the Journal of Archaeological Science, found through cutting-edge airborne laser scanning technology multiple cities between 900 and 1,400 years old beneath the tropical forest floor. Hindu civilization also transformed and shaped the social construct and statehood of Southeast Asian regional polity. Through the formation of Indianized kingdoms, small indigenous polities led by petty chieftain were transformed into major kingdoms and empires led by a maharaja with statecraft concept akin to those in India. Empire based in Java, Bali, and parts of the Philippine archipelago. The civilization of India influenced the languages, scripts, written tradition, literature, calendars, beliefs system and artistic aspects of these peoples and nations. Jayavarman I was a small king who ruled over indrapura in Funan province of Cambodia. He was vassal of the king of Java. His son Jayavarman II was the founder of Khmer dynasty. He conquered many small kingdoms of Kamboja, Indochina, Vietnam and declared independence. 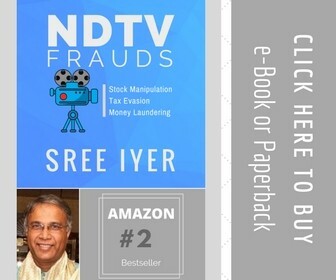 He shifted his capital from Indrapura to Mahendraparvata. He was a great Shiva Bhakt and he called himself DEVARAJA [God King]. At that time, Sailendras allegedly ruled over Java, Sumatra, the Malay Peninsula and parts of Cambodia. An inscription from the Sdok Kak Thom temple recounts that at Mahendraparvata, Jayavarman II took part in a ritual by the Brahman priest Hiranyadama, and his chief priest Lord Sivakaivalya, known as devaraja which placed him as a chakravartin, Lord of the Universe. 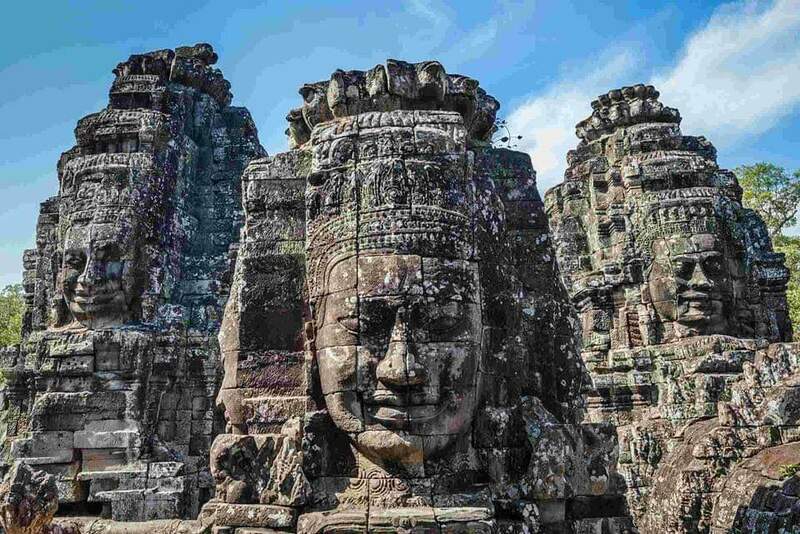 He called his Kingdom Hariharalaya [Abode of Hari - Vishnu and Hara - Shiva] which later become Angkor [Derived from Sanskrit word Nagara or City]. Jayavarman II ruled from 790-835 and the inscriptions say he went to the abode of Shiva and became Parameshwara. Later his son Jayavarman III took over the reigns. Jayavarman II started the concept of benevolent Hindu king who was the protector of his people, the great bhakta of the gods and who ruled the empire as per the Hindu dharma and looked after his people as a father. His teacher was the Brahman Vamasiva, part of the Devaraja priesthood. Vamasiva's master, Sivasoma, was connected to the Hindu philosopher Adi Sankara. During the first year of his reign, he built about 100 ashrams throughout his kingdom. Each ashram was used as a resting place for the ascetic and the king during his trips. In 893 he began to construct the Indratataka Baray (reservoir) that was started by his father. In the middle of this lake (now dry), he built the temple Lolei. Yasovarman was one of the great Angkorian kings. His greatest achievement was to move the capital from Hariharalaya to Yashodharapura where it remained there for 600 years. It was at this new capital where all of the great and famous religious monuments were built, e.g. the Angkor Wat. The new capital was closer to the Siem Reap River and is halfway between the Kulen hills and the Tonlé Sap. By moving the capital closer to the sources of water the king could reap many benefits provided by both rivers. Yashodharapura was built on a low hill called Bakheng, and connected to Hariharalaya by a causeway. Simultaneously, he started to dig a huge reservoir at his new capital. This new artificial lake, the Yashodharatataka, or the East Baray, with 7.5 by 1.8 km long dykes. 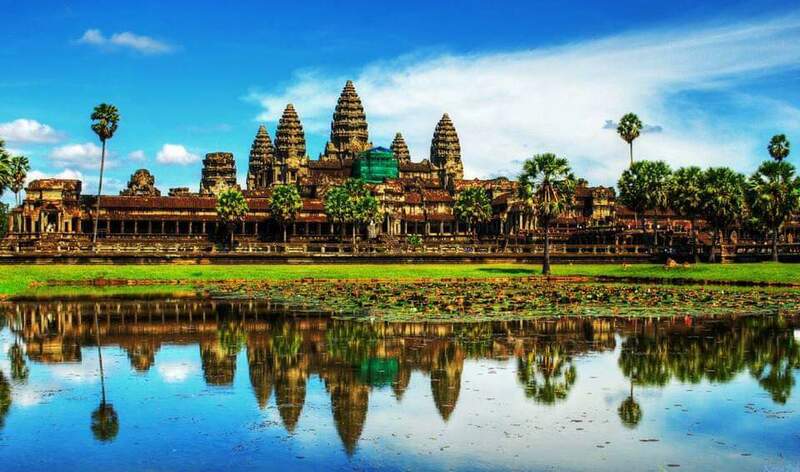 Over the next 300 years, between 900 and 1200, the Khmer Empire produced some of the world's most magnificent architectural masterpieces in the area known as Angkor. Watch out for the part 2 of this post.